Your digestive tract regulates several essential bodily processes that impact your overall health on multiple levels. Likewise, the colon’s ability to properly flush out waste materials keeps the body’s major systems working as they should. A colon cleanse works to clean waste materials from the digestive tract and flush them out of the colon. If this is your first time doing a colon cleanse or if fast foods or processed foods are a big part of your diet, a colon cleanse may well shock your system but in a good way. Not to fear, as a colon cleanse diet will help prepare the body beforehand while minimizing any uncomfortable side effects. Amazingly, cleaning out your colon helps “clean out” the many systems affected by colon health. This is because an unhealthy colon environment interferes with nutrient absorption in the digestive tract. Poor nutrient absorption has a ripple effect, sapping your energy levels, compromising immune system functions, and making it harder to manage your weight. As waste buildup clears out, the digestive tract doesn’t have to work as hard to extract nutrients from food, which takes up a lot of energy. As a result, your energy levels increase. Also, the body’s cells and systems are now receiving the nutrients they need, which increases your energy levels even more. Proper nutrient absorption also helps you eat less as the body receives the nutrition it needs. This makes it easier to lose weight. 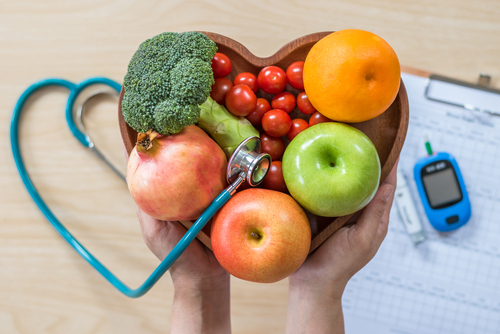 Since a colon cleanse diet allows you to fully digest your food, you can also expect to gain needed relief from digestive issues, such as bloating, gas, and frequent constipation problems. The colon houses trillions of tiny microbes, both good and bad, all of which have a huge impact on the health of the body. 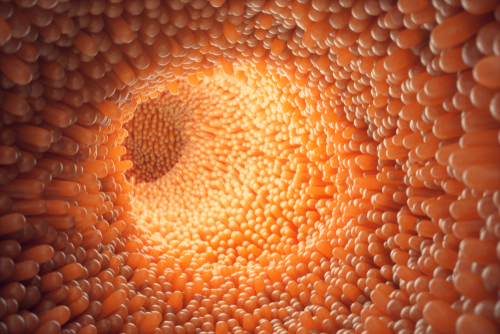 Immune system health, metabolism, inflammation, and disease-risk are all tied to the health of the colon. Since the colon manages the job of waste elimination, it’s also the body’s dump site for undigested foods and harmful materials from processed foods, as well as any impurities you breathe from the air or drink from water. When left unchecked, any number of health problems can develop over time. 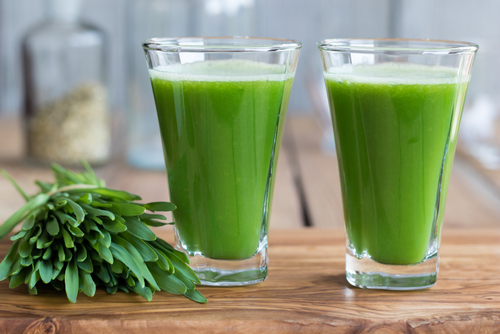 A colon cleanse diet is the first step toward restoring the colon back to a healthy environment—you’re preparing your digestive tract beforehand. Since a colon cleanse can be like a shock to the system, it’s important to prepare the colon and the body ahead of time to make the process as easy as possible. While colon cleansing agents all work to accomplish the same end, there are certain considerations to keep in mind when choosing between different product brands. It’s important to choose a product that not only cleans the colon but also supplies the body with needed nutritional supports during the cleansing process. 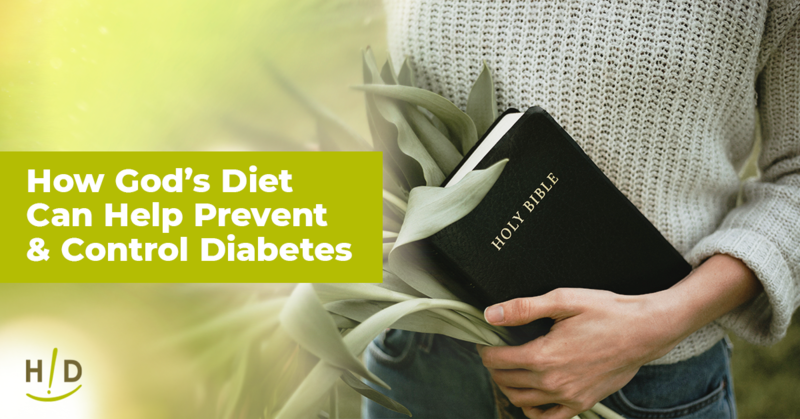 Our Hallelujah Diet Fiber Cleanse Powder does just that. 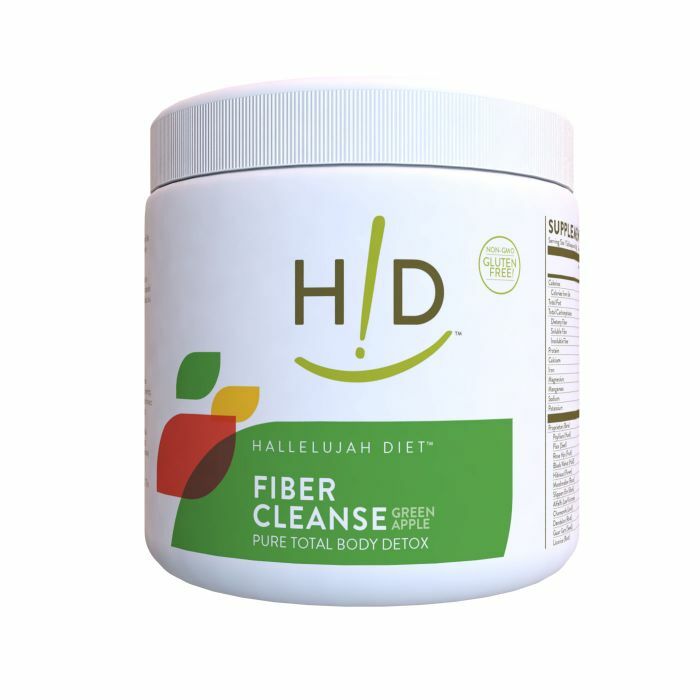 HD Fiber Cleanse Powder contains a balanced mix of flaxseed, psyllium, and herbs that help regulate bowel movements. The flaxseed component provides a rich source of omega 3 and omega 6 fatty acids, which support healthy cell activities throughout the body. Flaxseed also supports the processes that regulate your blood sugar levels. Meanwhile, the psyllium component turns harmful waste buildup into a gel-like mass and flushes it out of the colon. Our colon cleanse powder comes in a natural unflavored powder, a green apple flavoring that mixes nicely with water or your favorite juice, creating a mild pleasant taste or capsules. 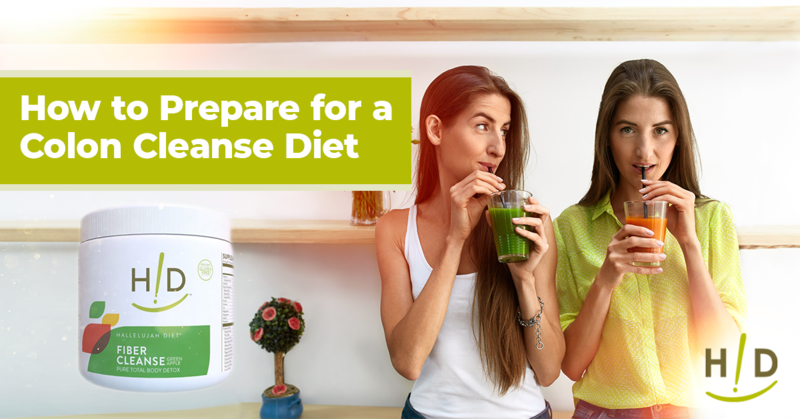 If you’re ready to take the next step toward optimal health, a colon cleanse diet coupled with HD Fiber Cleanse Powder offers an effective way to fine-tune your digestive system. When using the right product, you can expect to experience full benefits a colon cleanse has to offer. Fiber Cleanse is a great way to clean out the colon. Colon health is key to the health of the rest of the body. Fiber cleanse may help many body systems work as they should: lymphatic system, nervous system, brain, heart, vascular system, lungs, and sinuses to work at peak efficiency. This is just quackery! How about you cite the peer-reviewed studies that support your claims? Otherwise, you are selling snake oil.